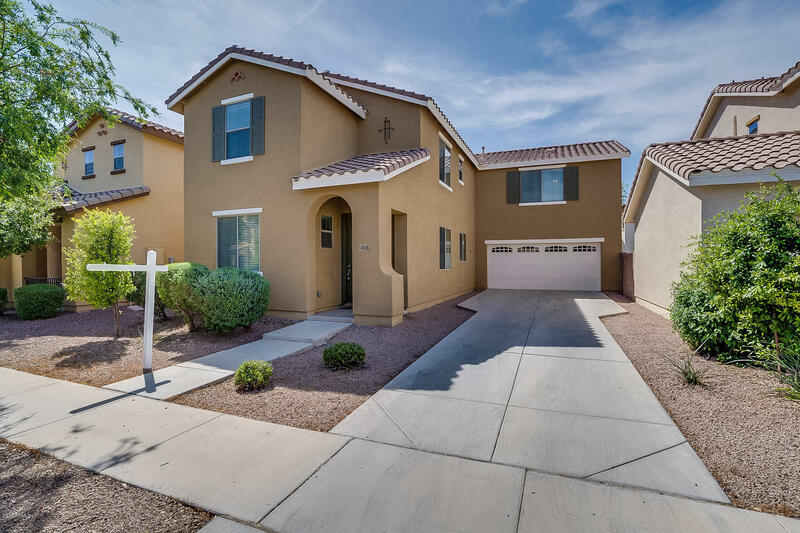 All LYONS GATE PHASE 9 homes currently listed for sale in Gilbert as of 04/22/2019 are shown below. You can change the search criteria at any time by pressing the 'Change Search' button below. "Gorgeous nearly 2,400 sf home in Lyon's Gate with a excellent floor plan! This home features 3 over-sized bedrooms, plus a loft, and 2.5 bathrooms. A great downstairs for entertaining with large kitchen, and open great room. Large maple cabinets, granite counter tops, stainless steel appliances, 20'' x 20'' diagonally laid tile floors, and high grade carpet. North/South facing lot."